is the only open water swim on the Ohio River to cross the river and back. 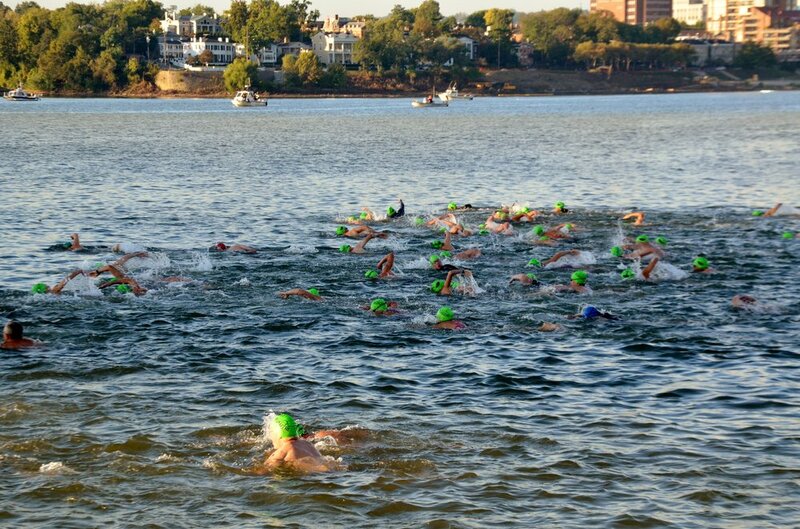 Start at the Serpentine Wall and swim across the Ohio River to Kentucky. Once you have reached Kentucky come back across the Ohio River to Public Landing in the heart of Cincinnati! When we started the Great Ohio River swim in 2007, Bill Keating Jr. was one of the first to sign up. The first year of the swim Bill won the male swim, but lost the overall title to his daughter, Caroline. 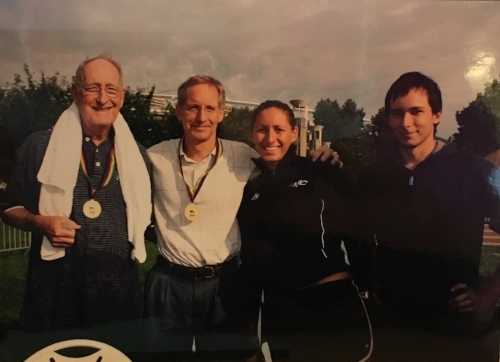 Three of his kids and his father swam across the river with Bill over the years. Bill was a big supporter of the swim and throughout the years talked others in joining him the swim across the river. In March of 2017, Bill lost his battle with brain cancer and now we dedicate the river swim to him. Your participation in the Bill Keating Jr., Great Ohio River Swim benefit Adventure Crew and their mission to get more urban teens out into nature. Adventure Crew serves students in 22 urban high school throughout Greater Cincinnati, providing teens with no-cost activities like kayaking, biking, hiking, swimming, and more! Why the name “Lane 8”? Historically, the swimmer in lane 8 is the underdog of the race. This swimmer either had the slowest seed time or the slowest prelim time in a meet, thus giving them the worst odds of winning the race. Much like the guy or gal in lane 8, the kids we sponsor are seen as underdogs by lacking the simple essentials for prototypical success in life. While the odds aren’t in their favor, the swimmer in lane 8, does not have the excuse to give up. They have a lane a lane that is the same length and width as every other lane. Our biggest goal as a nonprofit is to apply this as a metaphor to life. While the road to success for a Lane 8 swimmer is paved with many more potholes, hills and detours than other kids, they still have a life. They still have an opportunity. Our Lane 8 swimmers do not pity themselves. Instead, they adapt.